Pictured from left to right: Richard Lee, Darline Torres, Ria Berger and Karina Flores. It’s that time of the year again! Christmas lights are up just in time to celebrate another milestone. 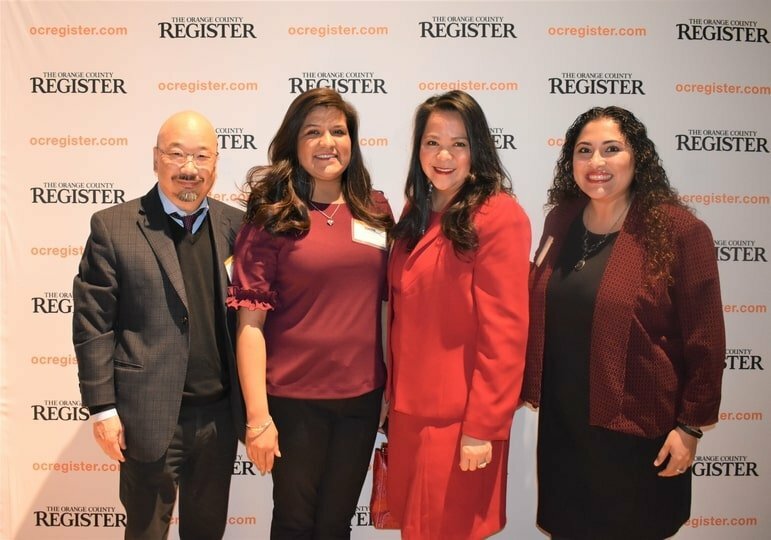 Healthy Smiles was recognized for the second year in a row as a Top Workplace by The Orange County Register at the 11th Annual Top Workplace Gala held in the city of Anaheim on December 6th. The Top Workplace Gala was similar to The Academy Awards except companies in Orange County are awarded for creating positive employee experiences that contribute to employee engagement and company culture. Each company recognized was nominated by its own employees who completed a survey and evaluated how they feel about their work environment. Of the 1,274 companies that participated in the survey, 140 were chosen as Top Workplaces. 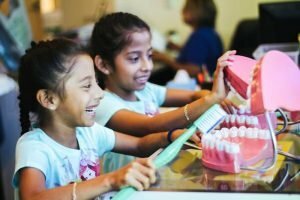 Healthy Smiles was one of only 11 nonprofits to win this award. In addition to receiving Top Workplace recognition, Healthy Smiles is proud of reducing the turnover rate by 50% and nearly tripling employee headcount. Healthy Smiles offers several employee programs such as career mapping, leadership development and succession planning. Employees also are encouraged to join the CEO Council upon their first 90 days. The CEO Council is comprised of Healthy Smiles employees from various departments and diverse functions interested in developing ways to engage fellow employees through team building activities and events. Billings Supervisor Karina Flores (far right in group photo above) is a founding member and one of the leaders of the CEO Council. She has been with the organization for 14 years. Karina started as the only outreach educator for the organization in 2004, then transitioned into data entry and front office. This holiday season, Healthy Smiles celebrates not just with traditional festivities such as the annual gingerbread house contest and Spirit Week celebration, but also a Top Workplace award!